Australia’s Trade Minister Simon Birmingham has told European Union officials during meetings in Brussels this week Australian beef exporters are ‘understandably concerned’ about potential changes to EU import quotas for beef. 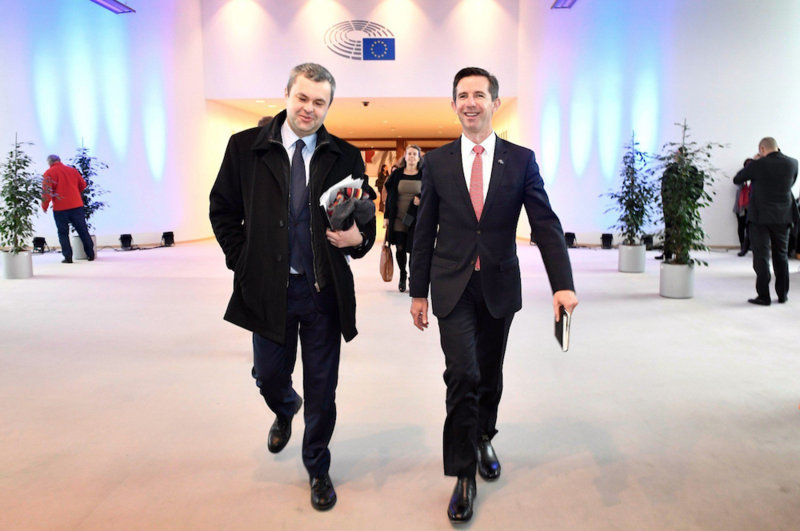 Australian Trade Minister Simon Birmingham (right) with Member of the European Parliament Sorin Moisa in Brussels this week. Australia currently has country-specific access to the EU High Quality Beef (HQB) Hilton quota of 7150 tonnes which has a 20 percent in-quota tariff. It also has shared access with four other countries (US, Uruguay, Argentina and NZ) to a tariff-free quota of 48,200t of grainfed beef, filled on a ‘first-come-first served’ basis. Once quotas are filled high tariffs are imposed which make further exports prohibitive. Australia’s share of the small volume but high value market is under challenge as the EU and Britain prepare for Brexit on March 29 and negotiate new trade deals with host of countries. The EU and Britain have separately proposed splitting their farm import quotas after Brexit. This proposal would see Australia’s HQB Hilton beef quota split 65pc and 35pc between the UK and remaining 27 EU countries respectively. Under current arrangements Australian beef can enter through a single EU market but be moved freely within the EU to where demand is highest. Australia fears losing flexibility of access to existing customers if a hard split of tariff-rate quotas proceeds post-Brexit. Also of particular concern to Australian beef exporters has been recent indications the EU is moving to re-allocate the 48,200t grainfed quota in favour of the United States, as part of new trade negotiations between the EU and US. Australia and other countries have objected to the plan and have argued it is not compliant with World Trade Organisation (WTO) rules. A formal negotiation process is now underway, but there has been little news on how the discussions are progressing. The Australian Financial Review this week reported that if the dispute is not resolved by ‘Brexit Day’ on March 29, the quota-splitting plan would come into force on a provisional basis. 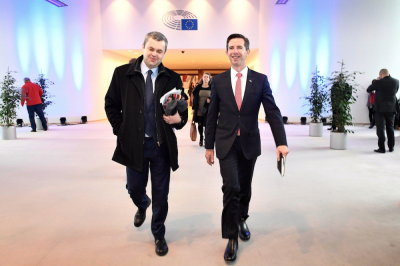 In a speech in Brussels this week Mr Birmingham warned that substantial dilution of Australia’s access to EU markets would not be a good start to Australian and EU Free Trade Agreement (FTA) negotiations. “Put simply reducing access in a key existing market is no place to start negotiations of an FTA nonetheless,” he said. 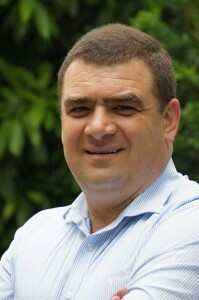 While the EU was Australia’s second largest trading partner, he said it was important to understand Australia’s existing access to EU agricultural markets was “actually very limited” – far below that of New Zealand, for example, which was also undertaking separate FTA negotiations with the EU. “Australian farmers are understandably concerned at the prospect of any actions that will have a negative impact on their export interests in the EU. Mr Birmingham said there were ‘clearly tangible potential benefits for both sides’ in the Australia EU FTA negotiations. He said Australia and the EU were seen as exemplars for the rest of the world in their support for liberal open markets underpinned by the international rules based system. Mr Birmingham said he would be making a strong case to EU commissioners that Australia needed a responsible approach from the EU in relation to high-quality beef exports. “We do want to see an outcome in the negotiations that we know are happening with the United States that is WTO compliant, and we look forward to full and thorough consultation with us in terms of what that final outcome looks like of course. Industry market taskforce chair Jason Strong said the Australian red meat industry welcomed the direct involvement of Ministers’ Birmingham and David Littleproud on red meat market access issues in Europe and the United Kingdom over the past week. “The Australian industry is committed to defending and improving access in the UK and EU, noting the rapidly changing dynamics influenced by ongoing Brexit negotiations, Australia-EU FTA negotiations and review of the functioning of the grainfed quota,” Mr Strong said. “As a consequence, industry is closely monitoring activities in market that may have implications for the red meat trade. “The EU/UK Taskforce has been assessing all Brexit developments with a focus on the potential implications for the Australian red meat trade. The Taskforce has requested that the Australian Government work on contingency plans to prepare for all eventualities, with the objective of ensuring trade isn’t disrupted as a result of “Brexit” on 29 March 2019. “Defence of Australia’s access to the EU grainfed quota remains paramount, following a mandate granted by the EU Council of Ministers to revisit the “functioning” of the quota in October 2018. The ongoing Ministerial support to reiterate Australia’s position in Europe is extremely welcome. The EU and UK Red Meat Market Access Taskforce is the Australian red meat industry’s steering committee responsible for guiding and driving improvements in beef, sheepmeat and goatmeat market access into both the EU and UK. With Jason Strong on board we have a qualified person that knows how things work. On legal and political strategies i am no expert. But from a commercial point of view, i am afraid that by saying “we have to protect the Australian farmer that has invested so much etc” does not land over here. If i may advise, i would start from a different angle. Politicians have nothing to do with farmers, their suits and shoes gets dirty. Agriculture is a nuisance. .Throughout history farmers have been considered just one level above slaves. The minister should appeal to what what is important for the eu commision. 1)ask how that the EU can even think about making a deal with a country that walked away from the Paris Climate Deal. If one takes the climate serious and agriculture is a large part of climate concerns then the EU should refuse to deal with those that do not comply. 2) ask what happened to a gentlemen’s agreement ? Ireland receives 1,4 million promotional budget to promote beef in Asia. The EU shuts their borders and even subsidies beef exports for destinations where in the past the EU promised to stay away. In return Australia, beef and lamb accepted a small quota for Europe. This agreement is broken by the EU. Trust is all, politicians have difficulty with that. The protesters (yellow vest etc) will certainly pick this up. On the split of the quota HQB, Australia should not worry too much. the UK needs beef, they do not have to use a part of the HQB , they ,once they are out, have the right to create their own quotas. I would not be surprised when that is less than 20% one currently pays under HQB.